If you have submitted the ticket already click on I've already submitted a ticket & enter the ticket reference ID (number). If you haven't - click on I want to create a ticket. 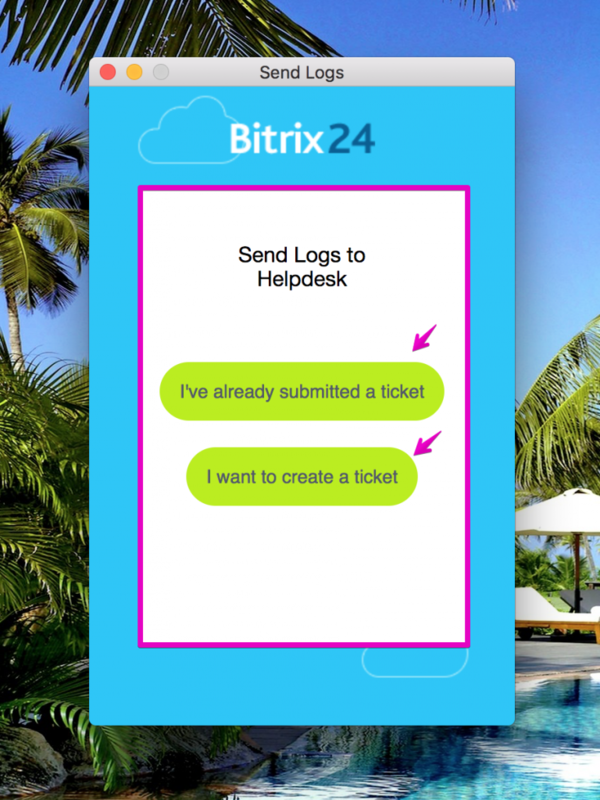 For new tickets: Describe Your Issue - please make sure you provide max. 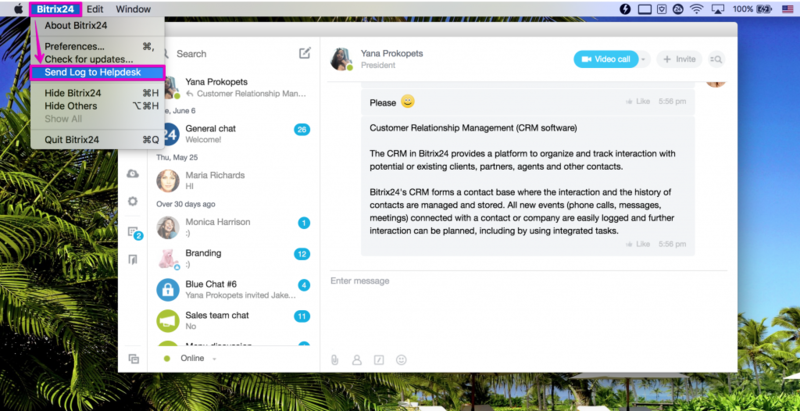 details about your desktop app problem (e.g. that the app is up to date & have tried most common problems solutions). Click Send. 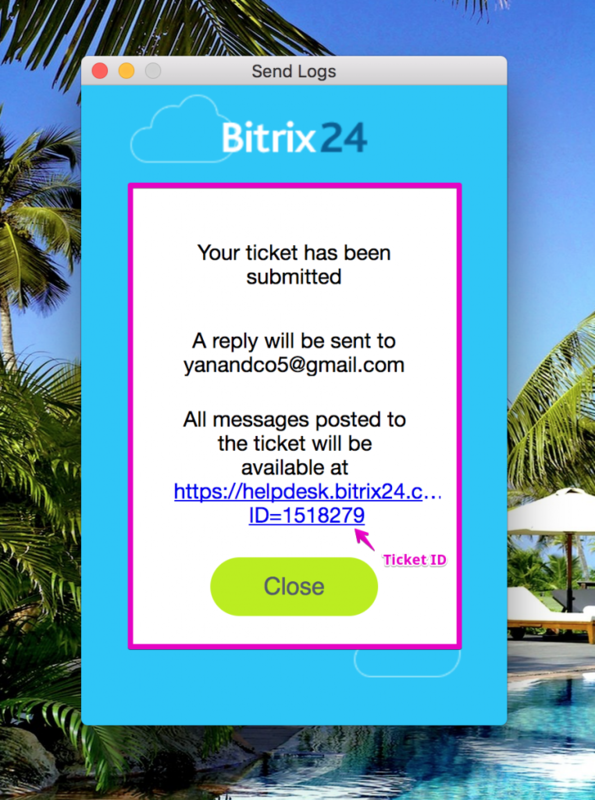 After that you will see the message Your ticket has been successfully submitted with ticket link. Ticket number (ID) is at the end of the link. 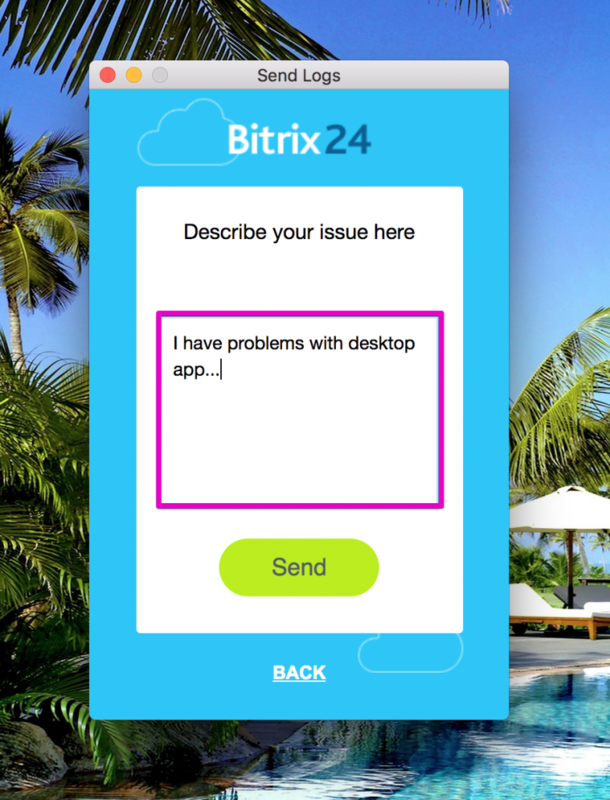 click on the Bitrix24 desktop app icon shown in the right bottom corner of your computer screen. in the desktop app menu select Send logs to Helpdesk.